Super is the model with a short dripper for flat ground. F6 is the version with six drip outlets for a more uniform water distribution on soils with a contained slopes and a sandy structure. PC model features pressure compensate dripper which guarantees constant flow rate water supply. Its use is particularly recommended where there are strong slopes on the ground. Also available in brown or white color for better camouflaging on the ground or on the walls of the terraces. 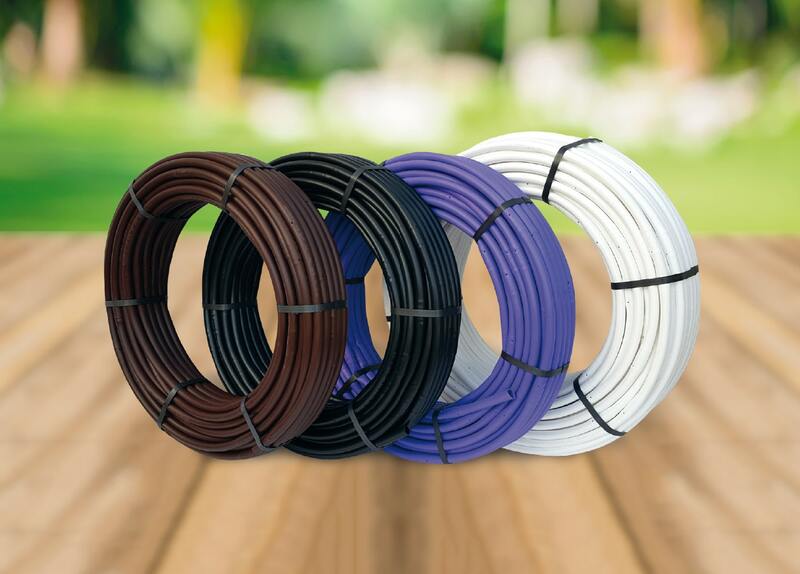 The characteristics of the packaging make this product a versatile and practical one, especially for the "DIY" irrigation installations.